Each year, as we plan our Annual Show, the MMOGTA selects a particular brand of machinery to spotlight in our Featured Brand Corner. Some years it has been lesser known, more obscure brands, others have seen the bright lights focused on brands that are literally household words all around the world. At times we have dedicated our attention to certain types of machinery, such as crawlers and dozers. We try to give every interest group the recognition they deserve, no matter how limited their numbers may be. That said, in our 45 year history, the biggest and best show we have ever produced, was the 1998, 4 day extravaganza that resulted when we hosted the National Red Power Round-up. By no intentional design, the membership in our group has always demonstrated a predominate interest in the historic line of products from the International Harvester Company, a loyalty that is both deep-seated, and well deserved. The company nameplate has been affixed to an endless line of products that have found their way into all of our lives at one time or another. As youngsters on the farm, we all had an IH tractor, combine, truck, mower, plow, or freezer involved at some point in our lives, or if we didn’t, certainly our neighbor did. The company was that omnipresent in the manufacturing history of the United States throughout the entire 20th Century, and the legacy continues today. Fast forward now to 2019, the world is a very different place than 1909, and much changed even since 1998. The political winds have changed direction multiple times, domestic and global political strife headlines every nightly newscast, the economy and the future seem harder to predict with each passing year. A perfect time, we think, to remind us all of the absolutely integral role our major manufacturers played in making this the greatest Country on Earth. Ford, GM, IH, Deere, and others like them, have been the very infrastructure of our economy, prosperity, growth, and strength. 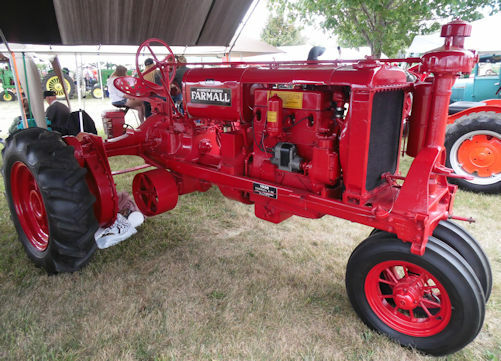 We cordially invite all of you to join us on August 16th, 17th, and 18th, 2019, in Oakley Mi, as the Featured Brand spotlight is shone directly on the long “Red” line of products from International Harvester, be it Farmall, McCormick, Titan, Mogul, or whatever. Please check back with our website, where you will find the latest information on scheduling, events, and all the details you will want to know in advance of what should be a great year for all of us. Don’t miss your chance to rub elbows with the best of the “Binder Boys” at the 2019 MMOGTA Show. Remember, when it comes to the 3rd weekend in August, all roads lead to Oakley, for the 45th Annual MID MICHIGAN OLD GAS TRACTOR SHOW ! Questions, comments or suggestions about our show, showgrounds, or website? MID MICHIGAN OLD GAS TRACTOR ASSOCIATION THANKS FOR THEIR GENEROUS SUPPORT! Welcome to the Mid Michigan Old Gas Tractor Association website! MMOGTA is a non-profit organization, whose mission is the preservation and restoration of antique farming methods and machinery and the production and presentation of an annual show featuring both. We provide many donations to the community and a fall education day to help local kids better understand days gone by. 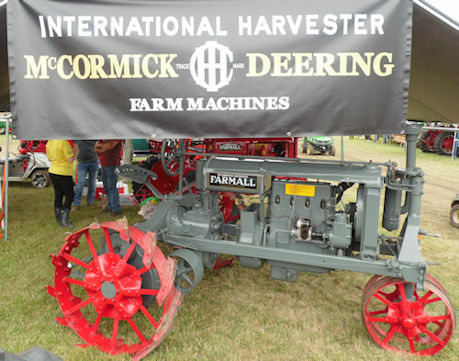 And we welcome you to one of the biggest, busiest, and best antique tractor and machinery shows in the Midwest every year on the 3rd weekend in August.